and others so pink as to be purple. 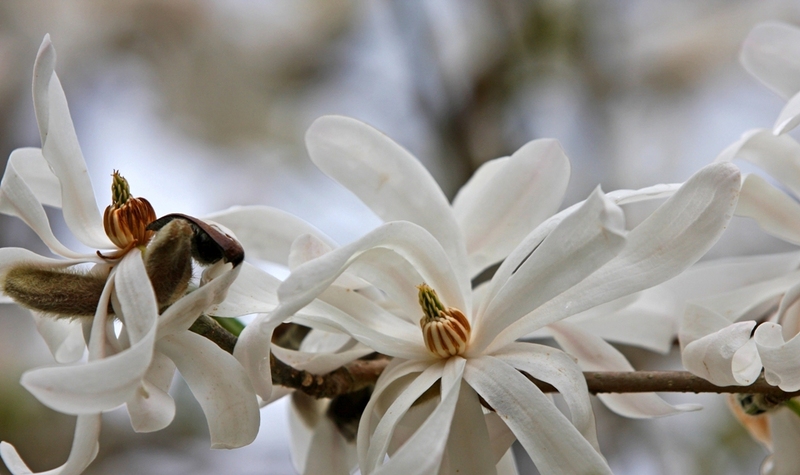 Small shrubs or large trees and star or plump petals you are always special to me. Magnolias, may you give me courage to share the predicament of the art work which is galloping out of the studio as shown in today’s Terrill Welch Artist website post “More Canadian Landscape Paintings by Terrill Welch SOLD!” Four more oil paintings and a medium-size fine art photography print to be exact. This brings the total to eight paintings and three photography prints sold since the middle of January. It may not sound like much but it represents several thousands of dollars of art work going off to new homes. I was asked by a dinner guest on the weekend how it felt to have my work meet with such success. I replied with a raised eyebrow and a soft shrug. You see, it is really not particularly comfortable to be in the lime light of my selling art work. Rather than being a comfort, I instead, feel a sense of panic and almost anxiety. Over the years, I haven’t been able to nail what this is about but definitely recognized the repeating result of the experience. I finally replied to my guest that it must be like other artistic expressions. Once a song is released or a book published or a painting sold it often feels like an ending rather than a beginning for the creator. There is an irrational fear that it is the last “good” one and that there will be no more. Silly I know. However, I can attest to the actuality of this emotion. Since I have been selling my art work from the time I was fourteen years old, I wish I could say it is getting easier over time but this is not so. Thankfully, the feeling only lasts until the next painting is off the easel or the next photography print is made available for purchase. Balance and clarity is then restored until the next sale. Odd isn’t it? If you are comfortable sharing, what quirky anxiety accompanies your creative success? Such stunningly beautiful photos, Terrill. I invision the pink/purple photo emboldened and adorning a wall in a Parisan clothing boutique. Anxiety? Oh, yeah, I’m familiar with that emotion. In fact, so much so that I wrote entire article on the topic here (http://sweatercursed.blogspot.com). Thankfully, I have wonderful people in my life–like you Terrill–to see me through this change. Ah, Leanne, I am going to have to drop by and have a read. And likewise my friend. Great to have you in my life as well. Take good care. Magnolias are among my favorite flowers. Your images here are beautiful, Terrill. I think any of us in the arts feels a kinship with the emotion your describe. Part of it, I think, issues from the sense that the business of art, while necessary, is not what most of us enjoy doing; so sales as a measure of success are great but do not evoke the same emotion as the creating itself. Beautiful images, Terrill. And congratulations on the sales, well deserved. I confess I usually only feel elation when I sell a piece. The idea of someone wanting my work enough to put down some cash for it thrills me and encourages me to do more and even better work! Good point! This seems like a much healthier response Chiarina 🙂 as it is very much an honour to have people “put down some cash” for one of my pieces. It is also encouraging and strengthen the resolve on days when nothing seems to be coming together as I might wish. Terrill – These photographs are a veritable FEAST for the eyes! Pitching it. I detest pitching it! I just pitched a bi-monthly series for 2014 and it was accepted, but I was on pins and needles waiting for the decision. I write for myself so I really shouldn’t care what other people think. Unfortunately, I do. Well no surprise to me you were accepted but I feel your pins and needles Laurie. I think it must be hard not to care, no matter how much we try and tell ourselves this is so. Hum, I wonder what that was all about Laurie. I checked and it didn’t come up with a new subscription listing on my end. Must have been a glitch someplace that needed fixing. I have a bit of the same feeling after each speech or sermon or lecture and most often when I used to sing – I then wondered if I could do it again, and again, and again….I became aware one day after I was “released” from the college that the feeling would begin before each experience too…There were so many complaints in the early days – that people would say after church, “we can not hear you ( even when I knew it was not true and more sexism to deal with)” I was released from the college because the waiting list for my classes was too long and the tenured faculty were running interference. I found out years later that 6 others were released also at the same time for the same reason – that helped a bit. Now that I can not sing….well, I hoped writing the blogs would get my work out and about and heard. I push publish and then the seed of doubt raises it’s head and it takes me awhile to pull back and start again. 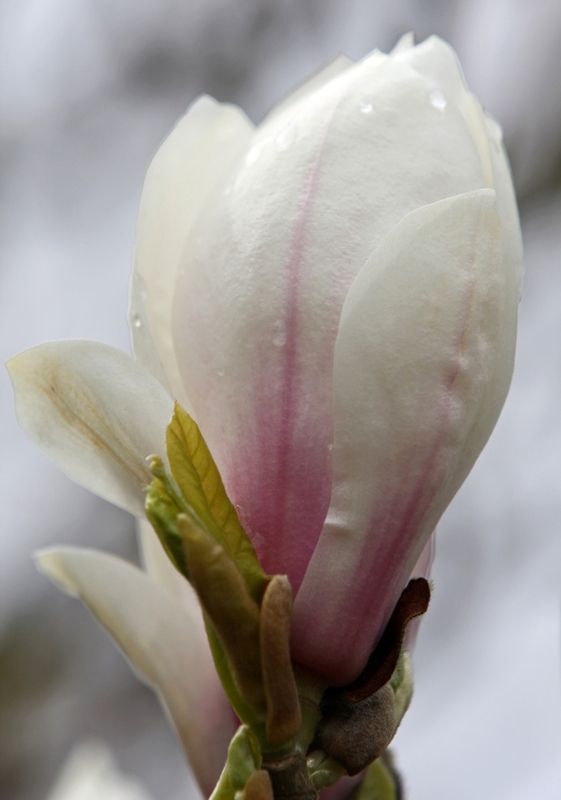 Your work is lovely here and I am so happy for your continued success and that the magnolias keep coming on a yearly basis to remind us that we can bloom again and again and again. Patricia your sharing and that of others is most helpful. It is good to give voice to these things even if their are no easy answers. It really is I think something about – can I ever do it this well again… and that being gone or in the past. Your story tells me that at some point the answer will be – no you can’t, it will be different now. For Emily Carr, she wrote when she could no longer paint. Like you, she used a different creative vehicle for expression. I know from what you have shared before how much you loved singing. At least as much as I love painting. Your path helps to remind me that maybe not today but someday, I will be painting my last painting. Maybe these experience are like little deaths which help prepare us for our physical death? Ah well, whatever it is I best become comfortable with it. Good to hear Annerose – means there is hope for me yet to become comfortable and to trust the cycle of painting, selling and painting some more. Thank you so much for chiming in here. I think I will make a postit note of – “ideas and the ability to make good paintings are abundant” by Annerose and post it at eye level in the studio. I think making the art is what is important, and selling it is incidental, if you concentrate on the making it as good as possible, then the selling takes care of itself. I imagine it’s a little weird and a little sad though, to sell a lot all at once. But awesomely cool! Congratulations! 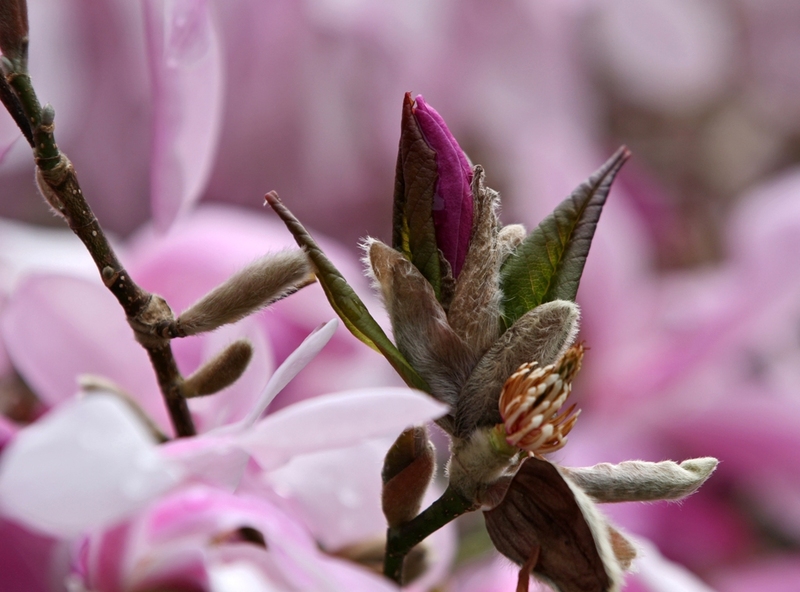 I can’t wait to see the blooms burst open here…Spring is very tardy this year. But she’ll be welcome anytime she wants to put in an appearance. There is something magical about white in the garden. I love how it comes into its own at twilight. 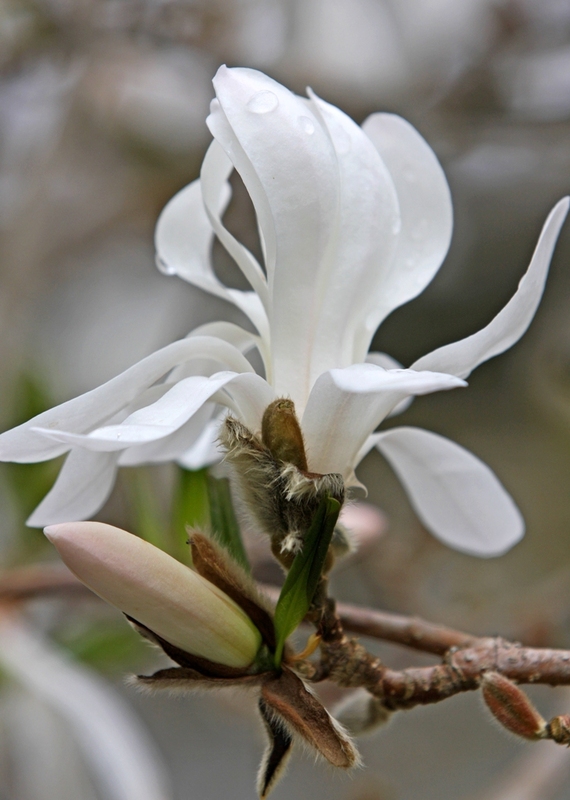 Yes Talon white in the garden at twilight can be spectacular indeed… Along with all the beautiful fragrances. Summer moon gardens, yum! What a great idea Barbara. It seems a shame that the beauty of a garden can fade as someone else is admiring it and we ourselves are noticing the weeds! I think that the same advice I was once given for when someone is looking at a painting applies – never point out what you feel is wrong. There is no good reason to burst the viewers view.